Deacon Harold’s first booklet, The Mass in Sacred Scripture, was inspired by the Second Vatican Council’s Constitution on the Sacred Liturgy and its desire that “the treasures of the bible be opened up more lavishly, so that richer fare may be provided for the faithful at the table of God’s word” (Sacrosanctum Concilium, no. 51). 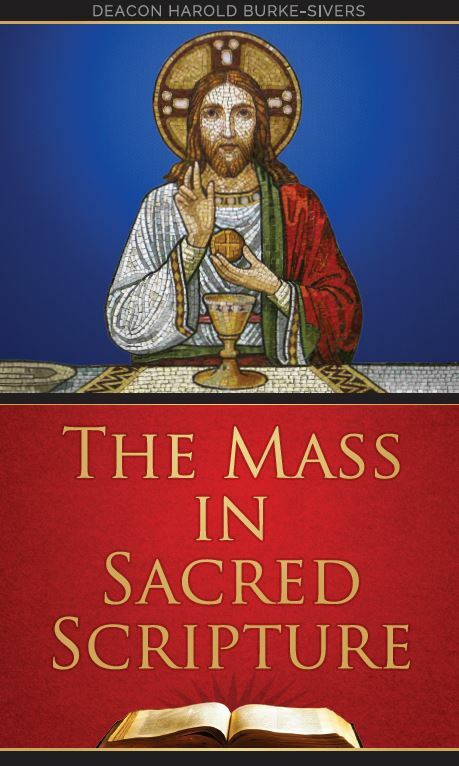 The Mass in Sacred Scripture walks the reader through a brief history of the liturgical changes at Vatican II that led to the 2010 Roman Missal revision in English. It presents the approved English texts of the Roman Missal alongside some of the Scripture passages from which the Mass texts were derived. It also shows the intimate connection between the Mass and the Bible. The book ends with a short question and answer section designed to root what happens at Mass within the fertile soil of our every day lived experience. The Mass in Sacred Scripture clearly shows that, without a doubt, the Catholic Church fosters great reverence and respect for the Word of God. It recognizes the vital role Sacred Scripture plays in the lives of the Church and her children.